We provide a vide range of PA Systems on rent. PA system or a Public Address system, used mostly to highlight a sound source like at a live gig, or a public address, etc. 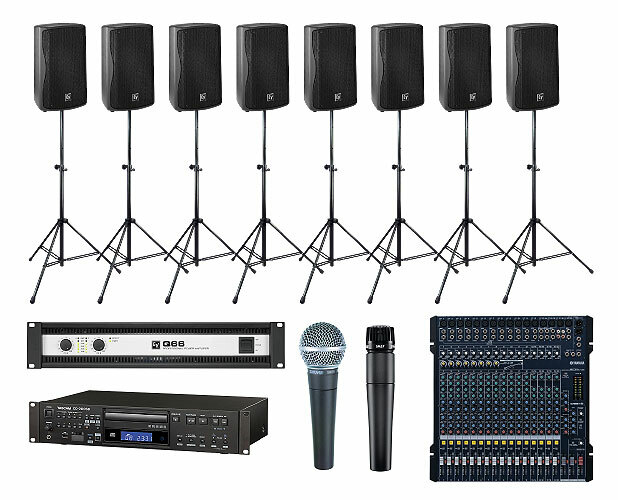 Simple PA systems are used in school auditoriums, bars, gigs etc and PA systems with larger number of speakers are widely used in commercial Events like Exhibitions, Concerts, Seminars, Conferences provided by JBL or Soundcraft etc.